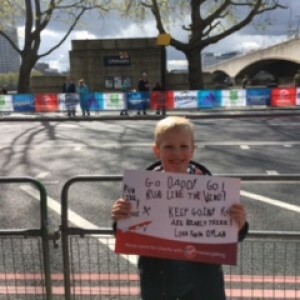 Kate (TPA Secretary) entered TPA into the Charity Ballot for the 2016 London Marathon. Some time ago, Kate (TPA Secretary) entered Thyroid Patient Advocacy into the Charity Ballot for the 2016 Virgin London Marathon. Places are like gold dust – and out of well over 200,000 applications – TPA was lucky enough to be allocated a such a place. 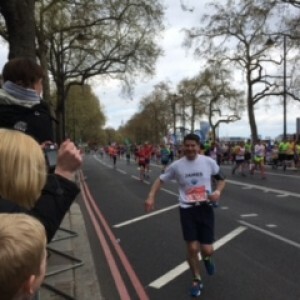 You will no doubt be delighted to know that between us, we have broken 2 records (1) our runner James finished the marathon in 3hrs 58mins – just under the 4 hour goal he had set for himself. A huge thank you James for your selfless training and huge determination, despite the bitterly cold weather! (2) TPA’s target to raise £2000 has rocketed way beyond our expectations, now standing at around £4500. In reality, £3000 was a very distant dream when we first heard that we had been given a place. 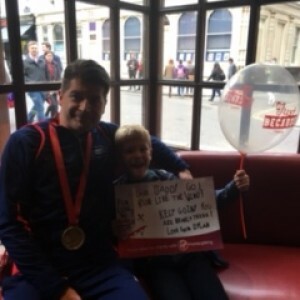 James told us that the biggest motivation for him to complete this marathon came from knowing that the money he raised would be going to a very good cause and helps people less fortunate than him. Thank you James. Kate said that the marathon was amazing to watch with so many thousands raising money for charity and so great for TPA to have their first ever place. The great news is that we can continue to accept donations from those who would like to help until 23 May 2016 – and hopefully, we just might reach £5000. 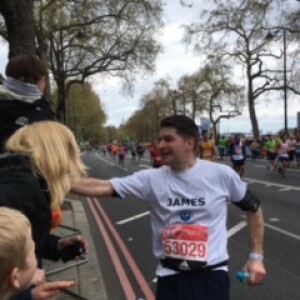 Thank you to James’s team and to everybody for becoming involved in this huge effort – particularly heart-felt thanks to all those of you who made a donation towards our cause. You have all been magnificent. If you have not yet made a donation and would still like to help TPA, you can donate to James’s Fundraising Page. For those of you who are confused by the sum showing on James’s page, this is because at the start of the fundraising effort, donations were being sent direct to the TPA Virgin Money Giving Page. James then opened his website giving a link to his own fundraising page – so we had two fundraising pages. The money raised on the original link to Virgin Money Giving will be transferred to James’s page after 23 April 2016. I will be delighted to let everybody know the final total once we have this figure.